L&G Engineering of Norwich provides skilled engineering and high quality manufacturing services to suit your specific requirements from our well-equipped Rackheath premises. We offer a variety of fabrication, installation and refurbishment services to food producers, breweries and other manufacturing industries. 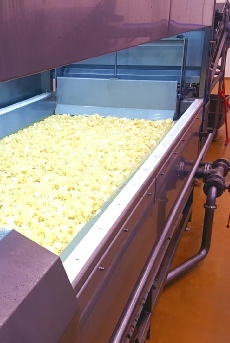 Our fabrications include bespoke industrial Batch Fryers available in four sizes, poultry sanitisers, PLC Control Systems, industrial dryers, washdown systems, heat exchangers, industrial ovens and chip fryers. 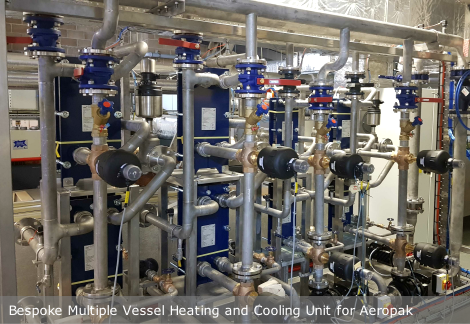 In fact, we offer a comprehensive selection of finely engineered, thermally efficient equipment for the Food Industry, including carefully designed bespoke machinery. We provide high standards of workmanship based on our wealth of expertise, ensuring safety and reliability - "Our skills, your peace of mind." From gas installation to boiler replacement, thermal solutions to bespoke services, fire-fighting equipment to fabrications for the Food Industry, we take pride in our work. We've undertaken many great projects over the years, building on our skills and experience, providing clients with an efficient, reliable service and high-quality fabrications. At L&G we're proud to have established a valued client base, with many customers returning time and again, but we also enjoying discussing new projects and taking on new challenges. Our competitive rates, together with our comprehensive knowledge and experience, make us the perfect choice for all your engineering requirements.